Selecting the right single board computer (SBC) for your application is just that; it’s not selecting the board that the vendor thinks is best for you because he’s got extra inventory or just got a new developer that needs the work. It’s finding the board with the right peripheral mix, the right OS choices, and frankly, a vendor you’re comfortable with, among other aspects. By integrating compute, I/O, connectivity, storage, and other requisite components, these off-the-shelf SBCs constitute the starting point for just about any industrial system design. Many SBC standards have emerged over the years that offer a host of enhancements, from decreasing component size while maximizing functionality in ever smaller form factors. At the same time, these standards provide investment protection and time-to-market advantages for these embedded hardware platforms. Selecting the right one for your application requires an in-depth look at available options. In addition to size, bus and architectural support, and compatibility with other form factors, certain standards are better suited to environmental requirements than others. Let’s take a look at three popular SBC standard families, weighing the advantages and disadvantages of each, those being 3.5-in., ITX, and PC/104. 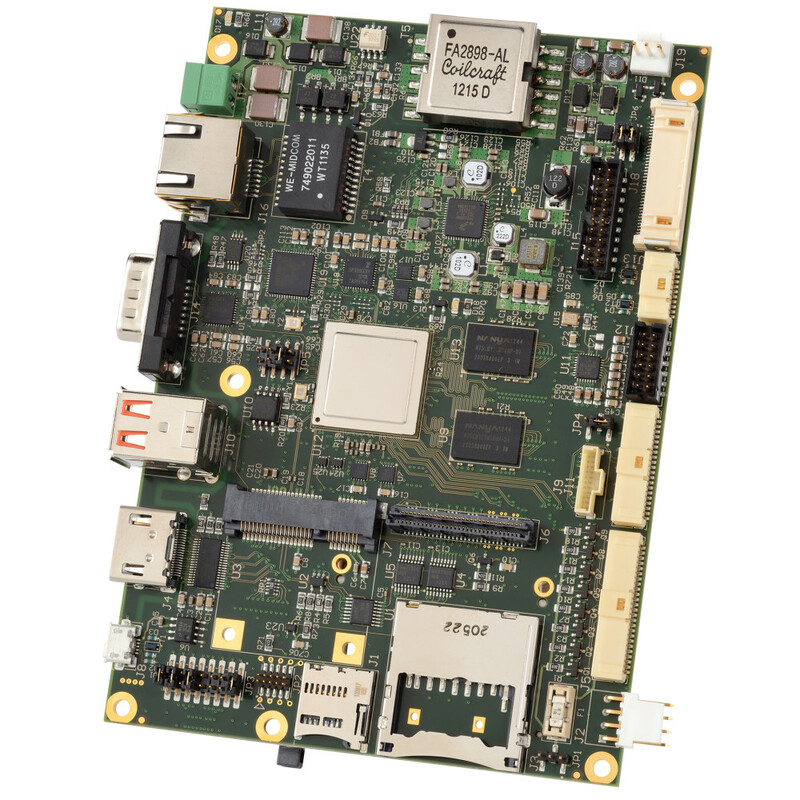 The PX1-C415 SBC is built to the PC/104 form factor but can be expanded thanks to the PCIe/104 OneBank standard. For those unfamiliar with the industry, a single board computer is pretty much what it sounds like, a mostly self-contained computing system that’s packaged with other necessary components, like storage, power, cooling, etc. However, there is a breadth of choices to make starting with the processor architecture. While a range of x86-based SBCs have dominated the landscape for the past 20ish years, ARM-based models and (Graphics Processing Units) (GPU) specific solutions are becoming more prevalent. Their presence is usually dictated by application needs as well as engineering familiarity. Other factors that weigh in on the choice of an SBC include size, environmental rating, bus/architecture support, and strength/longevity of the ecosystem. The choice is an important one, as selecting the right standard from the start enables technology scaling and reuse over long application lifecycles. 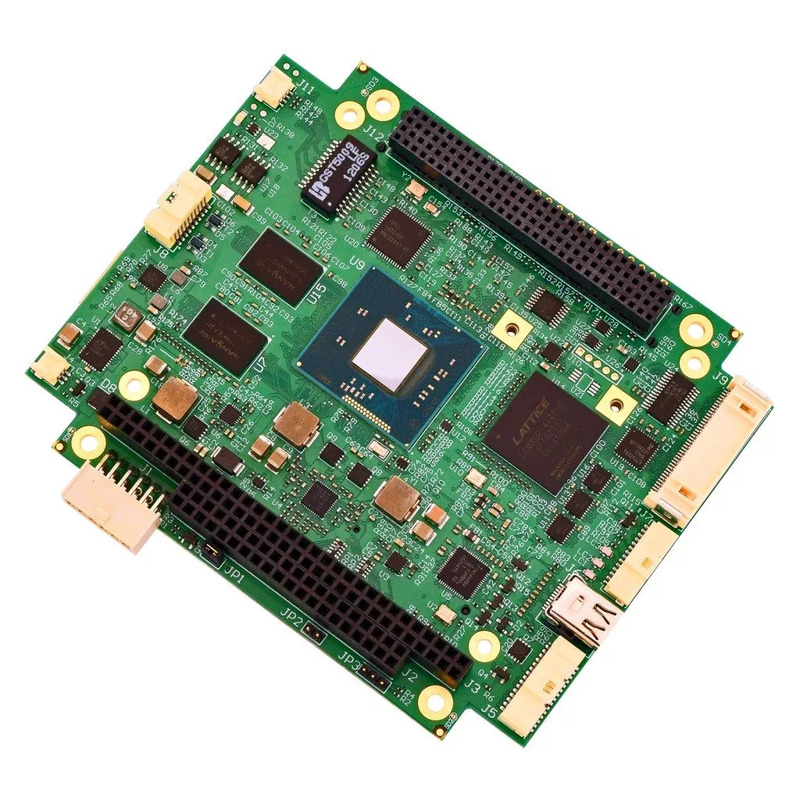 The SBC35-C398Q quad-core SBC is designed to the 3.5-in. form factor. Let’s start with a look at the 3.5-in. SBC class. Bear in mind that while the physical form factor of various 3.5-in. boards is the same, there may not be much else that’s “standard.” The I/O, peripherals, and bus architecture must be mapped out and reviewed thoroughly beforehand when using this class to ensure forward and backward compatibility. Also, many 3.5-in. SBCs aren’t rated for commercial (or industrial) applications due to their shock/vibe/temperature specifications. Here, there is generally a robust choice of ARM- or x86-based models to choose from, including WinSystems’ SBC35-C398Q quad-core SBC that’s based on an NXP i.MX 6Q microprocessor. It combines high-performance multimedia graphics with a rich mix of industrial I/O. It can operate from -40° to +85°C without the need for active cooling. On the x86 side, WinSystems offers its SBC35-C427, an SBC that’s built with Intel’s Apollo Lake-I E3900 series processor. The board boasts a combination of off-the-shelf functionality with multiple expansion and configuration options. The ITX SBC standard has its origins in commercial products like set-top boxes. This could make temperature ratings a key factor, depending on the application. Note that most modern ITX variants don’t support older buses like PCI or ISA, which can be problematic in environments with a mix of new and legacy equipment. Options for ITX can range from small to large, taking in the Pico-ITX, Nano-ITX, and Femto-ITX form factors. One example is the WinSystems’ ITX-N-3900, a NANO-ITX SBC based on Intel’s Atom E3900 Apollo Lake processor family. It uses less than 12 W for fanless applications and operates in the industrial temperature range (-40º to +85ºC). It supports Linux, Windows, and other x86-compatible RTOSs. Finally, there’s the PC/104 family of SBCs. While PC/104 itself is somewhat rigid, this deficiency, if you can call it that, can be remedied by some of the “migrated” standards, like PC/104-Plus or PCIe/104. PC/104 also offers a scalable migration path in terms of interconnect technologies, as it supports ISA/PCI, as well as Ethernet and PCIe. This helps in transitioning legacy environments to IoT applications. An example of this migration can be seen in WinSystems’ PCM-C418, PPM-C407, PX1-C415 SBCs. The first is a PC/104 form factor featuring small size, low power, a rugged design, and an extended temperature range. The second, in a PC/104-Plus form factor, adds some flexibility by featuring a low-power single-core processor or higher performing dual- or quad-core solution, all from Intel’s E3800 family of Atom microprocessors. Finally, the PX1-C415 SBC offers PCIe/104 OneBank expansion, featuring the Atom E3900 series of processors. While there are obviously varying degrees of standardization, the further you stray, the more difficult it is to make changes later. A desired expansion card or module may or make not operate properly if you bend the rules, even slightly in some cases. 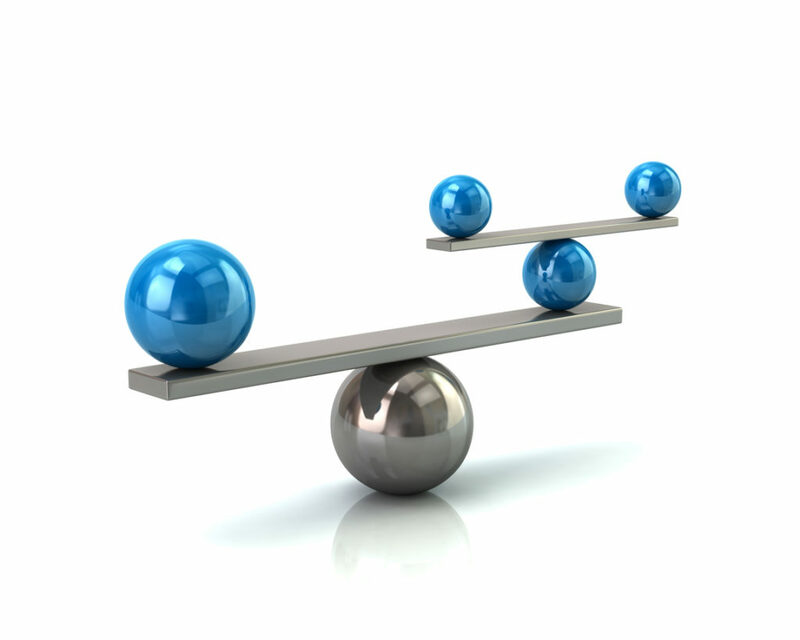 Experienced engineers know that it’s the application that must dictate the proper path. Questions? Contact us. In my last blog, Arm or x86? Future-Proofing Your Industrial SBC Figures Prominently, Part 1, I looked at the first two of four considerations when determining whether your path toward an industrial single-board computer (SBC) should guide you towards the Intel x86 camp or toward an Arm-based processor. There, I covered efficiency versus performance and connectivity in an industrial setting. Now, I’ll tackle the next two considerations: software and operating system support and overall cost. While there are obviously more than four areas you need to be concerned with, considering these four will set you down a path toward a robust and future-proofed system. The path to designing a robust future-proofed IPC system design involves a careful balancing process. Perhaps the biggest, and most impactful consideration when evaluating Arm versus x86 industrial PC (IPC) solutions is the software ecosystem. This was one of the key reasons for x86’s quick adoption in industrial computing markets, as it already supported operating systems (OSs) like Microsoft DOS, Windows and, eventually, Linux. General-purpose OSs are still largely the domain of x86 processors. Mobile OSs like Android and other Linux derivatives are commonly ported to Arm platforms. Hardware support for real-time operating systems (RTOSs) varies by RTOS provider. Today, there’s certainly crossover between architectures and OSs, as OSs like Windows 10 IoT Core have been designed to support Arm platforms just as Android-x86 is enabled for Intel processors. By and large, however, designers choose to keep their OS and hardware ecosystems consistent. This brings us to the heart of the software discussion. As long as the hardware target meets the performance, power, cost, and feature requirements of the application, developers will opt for the software ecosystem they are most comfortable with if the appropriate board support package (BSP) or drivers are available. In addition to an engineering team’s familiarity with specific languages and programming paradigms (RISC versus CISC programming, in this case), most engineering organizations already have a significant amount of time and money invested in particular toolchains. For its part, WINSYSTEMS provides software and driver support for Windows and Linux. The first three considerations I’ve discussed have a direct effect on the overall cost of an industrial system design, and most organizations can quickly qualify what selecting a given hardware-plus-software development suite will do to their bottom line. But it’s also important to look beyond the face-value finances of engineering an Industrial IoT system, as costs can run deeper than you think. Be sure to ask yourself the following questions before embarking on your next IPC system design. How quickly will my software and firmware engineers be able to adapt to a new architecture and tools? Today’s embedded systems are increasingly driven by firmware and software engineering, which means the largest and most unpredictable cost for most companies is development hours. In addition to the expense of new tools, the learning curve of adapting to a new ecosystem could quickly bring ROI into question. How will this design integrate with my installed base of solutions? Heterogeneous architectures can be advantageous, but may require additional integration work if the overall technology stack isn’t designed to support it. Re-engineering or retrofitting existing systems can cost as much if not more than a system that’s well thought out from its inception, and often sacrifice critical features/capabilities. Will our chosen technology ecosystem be supported for the long haul? Because many industrial, medical, and commercial systems are deployed for many years or even decades, support is essential for any hardware-plus-software technology stack. This is one of the many reasons embedded development lags behind consumer technology, as bringing support for legacy devices in-house is a costly proposition that subtracts from the bottom line. In conclusion, choosing an Arm or x86-based IPC solution depends more on your organization than anything. If you have nuanced concerns or are looking for advice on the best way to proceed with a given design, WINSYSTEMS FAEs can advise on the best solution stack for your project, company, and long-term objectives. Processor technology advances at breakneck speed, with new devices coming every 12 to 24 months. Bus standards aren’t moving quite as quickly, but they’re no slouch either. With (relatively) slower moving applications like MIL/COTS, medical, and industrial and their five to seven-year lifecycles, the pace of these upgrades can spell rapid obsolescence for today’s single-board computers (SBCs). Embedded engineers must, therefore, adopt a hardware infrastructure that can meet the requirements of today’s applications while providing an upgrade path for the technologies of tomorrow. Doing so reduces costs, extends the longevity of products, and enables technology reuse far into the future. It’s a strategy that sounds great in theory, but can be tricky in practice, especially, when you’re dealing with real-world deployments that comprise a mix of legacy technologies. Fortunately, a time-tested industrial SBC standard—PC/104—offers an upgrade path across several generations of technology. The demands for systems aimed at the MIL/COTs, industrial, and medical spaces will vary depending on the specific needs of those applications. But in most cases, downtime results in anything from big revenue losses to life-threatening situations. Such systems are designed to monitor people, equipment, etc. In some cases, they could be completely new applications, while in others, they are updating or augmenting existing equipment. The PC/104 family of industrial SBC standards serves well as a means of supporting legacy technologies based on the ISA and PCI buses as well as more modern bus architectures like PCIe and USB. PC/104 modules have been around for quite some time. In fact, the first modules hit the market around 1987. Since then, hundreds of cards have been introduced, from dozens of manufacturers. It helps that the standard is based on the popular original PC bus, so legacy components abound. The key attributes of PC/104 are its compact form factor, 3.6 by 3.8 in. ; the ability to stack the modules using rugged and reliable pin-and-socket connectors; and ecosystem of expansion modules. PC/104-Plus takes the original PC/104 spec one step further by infusing the use of the PCI bus. PC/104-Plus was ratified in 1997. An important aspect of this standard is that the modules can be used in the same stack with standard PC/104 modules. One module that maximizes the power of the PC/104-Plus spec is the WINSYSTEMS PPM-C407 single-board computer. It’s designed with an Intel Atom E3800 multicore, system on chip (SOC) to maintain a power level that’s low enough to permit fanless operation. The full-featured SBC supports DisplayPort, and/or VGA/LVDS video simultaneously and houses a Gigabit Ethernet port, four USB 2.0 ports, two serial RS-232/422/485 COM channels, two serial RS-232 COM channels, audio, and a watchdog timer. 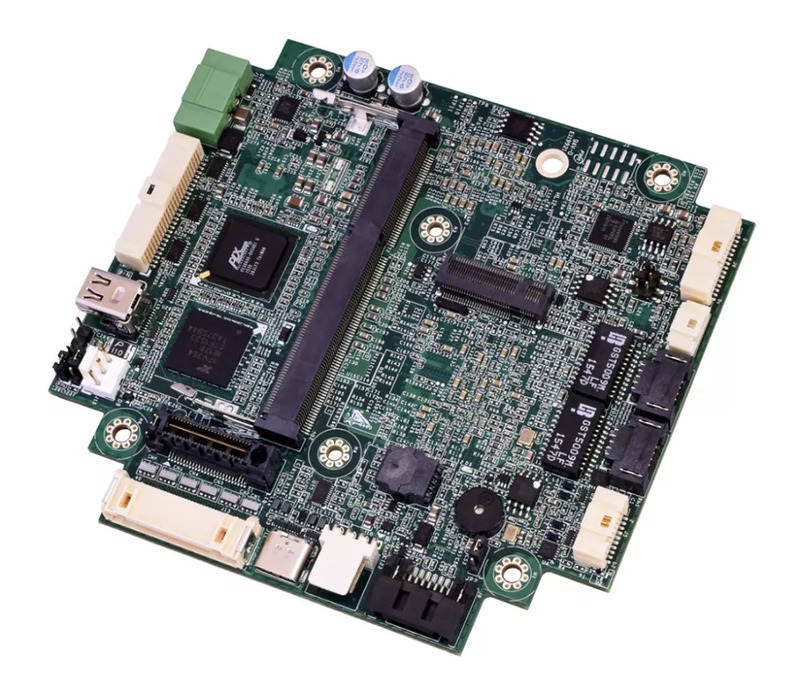 The WINSYSTEMS PPM-C407 single-board computer maximizes the power of the PC/104-Plus spec. Then there’s the PCI-104-Express specification, or PCIe/104, which is a forward- and backward-compatible technology option (again using the same form factor) for bridging PCI-based systems to PCI Express technology. Along with PCIe/104, the technology has essentially come full circle, bringing a modern PCI Express interface to a technology that’s somewhat long in the tooth. SBCs like WINSYSTEMS’ PX1-C415 offer examples of how the PCIe/104 technology is employed in a PC/104 form factor. The board uses the OneBank connector, which is smaller than the traditional PCI/PCIe connector, to conserve board space and support USB connectivity. WINSYSTEMS’ PX1-C415 works well in industrial IoT applications and embedded systems. The PX1-C415 features the Intel Atom E3900 series SoC processors and dual Ethernet. Hence, it works well in industrial IoT applications and embedded systems in the industrial control, transportation, Mil/COTS, and energy markets thanks to its small size, rugged design, and extended operating temperature range. Security features such as ECC RAM and crypto acceleration ensure that SBCs like the PX1-C415 offer industrial IoT readiness today and the flexibility for tomorrow’s systems. This, of course, is backed by the strength and longevity of the PC/104 ecosystem and trusted suppliers like WINSYSTEMS. Cloud, Fog and Edge Computing – What’s the Difference? Organizations that rely heavily on data are increasingly likely to use cloud, fog, and edge computing infrastructures. These architectures allow organizations to take advantage of a variety of computing and data storage resources, including the Industrial Internet of Things (IIoT). Cloud, fog and edge computing may appear similar, but they are different layers of the IIoT. Edge computing for the IIoT allows processing to be performed locally at multiple decision points for the purpose of reducing network traffic. WINSYSTEMS’ expertise in industrial embedded computer systems can leverage the power of the IIoT to enable the successful design of high-performing industrial applications. Most enterprises are familiar with cloud computing since it’s now a de facto standard in many industries. Fog and edge computing are both extensions of cloud networks, which are a collection of servers comprising a distributed network. Such a network can allow an organization to greatly exceed the resources that would otherwise be available to it, freeing organizations from the requirement to keep infrastructure on site. The primary advantage of cloud-based systems is they allow data to be collected from multiple sites and devices, which is accessible anywhere in the world. 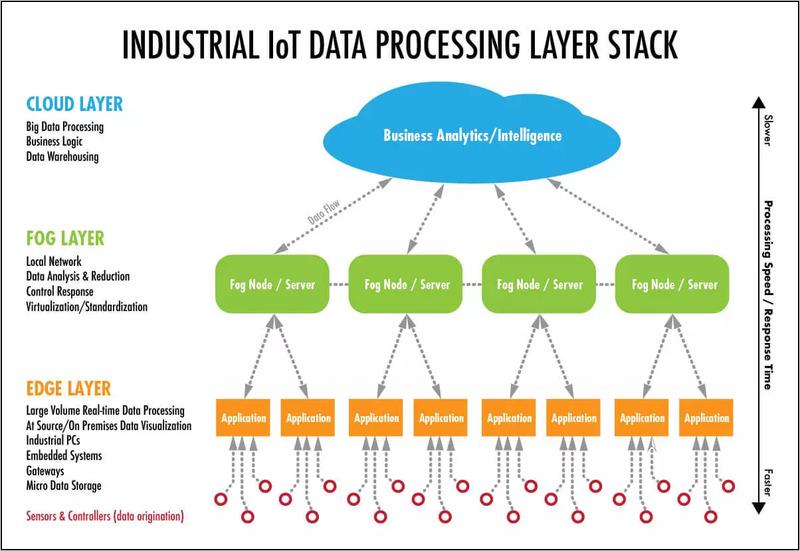 Embedded hardware obtains data from on-site IIoT devices and passes it to the fog layer. Pertinent data is then passed to the cloud layer, which is typically in a different geographical location. The cloud layer is thus able to benefit from IIoT devices by receiving their data through the other layers. Organizations often achieve superior results by integrating a cloud platform with on-site fog networks or edge devices. Most enterprises are now migrating towards a fog or edge infrastructure to increase the utilization of their end-user and IIoT devices. The use of WINSYSTEMS’ embedded systems and other specialized devices allows these organizations to better leverage the processing capability available to them, resulting in improved network performance. The increased distribution of data processing and storage made possible by these systems reduces network traffic, thus improving operational efficiency. The cloud also performs high-order computations such as predictive analysis and business control, which involves the processing of large amounts of data from multiple sources. These computations are then passed back down the computation stack so that it can be used by human operators and to facilitate machine-to-machine (M2M) communications and machine learning. Fog computing and edge computing appear similar since they both involve bringing intelligence and processing closer to the creation of data. However, the key difference between the two lies in where the location of intelligence and compute power is placed. A fog environment places intelligence at the local area network (LAN). This architecture transmits data from endpoints to a gateway, where it is then transmitted to sources for processing and return transmission. Edge computing places intelligence and processing power in devices such as embedded automation controllers. For example, a jet engine test produces a large amount of data about the engine’s performance and condition very quickly. Industrial gateways are often used in this application to collect data from edge devices, which is then sent to the LAN for processing. Fog computing uses edge devices and gateways with the LAN providing processing capability. These devices need to be efficient, meaning they require little power and produce little heat. WINSYSTEMS’ single-board computers (SBCs) can be used in a fog environment to receive real-time data such as response time (latency), security and data volume, which can be distributed across multiple nodes in a network. The IoT has introduced a virtually infinite number of endpoints to commercial networks. This trend has made it more challenging to consolidate data and processing in a single data center, giving rise to the use of “edge computing.” This architecture performs computations near the edge of the network, which is closer to the data source. Edge computing is an extension of older technologies such as peer-to-peer networking, distributed data, self-healing network technology and remote cloud services. It’s powered by small form factor hardware with flash-storage arrays that provide highly optimized performance. The processors used in edge computing devices offer improved hardware security with a low power requirement. WINSYSTEMS’ industrial embedded SBCs and data acquisition modules provide gateways for the data flow to and from an organization’s computing environments. The IIoT is composed of edge, fog and cloud architectural layers, such that the edge and fog layers complement each other. Fog computing uses a centralized system that interacts with industrial gateways and embedded computer systems on a local area network, whereas edge computing performs much of the processing on embedded computing platforms directly interfacing to sensors and controllers. However, this distinction isn’t always clear, since organizations can be highly variable in their approach to data processing. Edge computing offers many advantages over traditional architectures such as optimizing resource usage in a cloud-computing system. Performing computations at the edge of the network reduces network traffic, which reduces the risk of a data bottleneck. Edge computing also improves security by encrypting data closer to the network core, while optimizing data that’s further from the core for performance. Control is very important for edge computing in industrial environments because it requires a bidirectional process for handling data. WINSYSTEMS’ embedded systems can collect data at a network’s edge in real time and process that data before handing it off to the higher-level computing environments. The growth of the IIoT has increased the need for edge, fog, and cloud platforms. WINSYSTEMS provides high-performance embedded systems that can be utilized in industrial environments to enable solutions for edge computing requirements and gateways within the fog platforms. Our embedded systems thus allow you to leverage your particular IIoT hardware and network infrastructure. Contact a WINSYSTEMS engineer today to learn more about the advantages of distributed computing and what it can do for your organization.